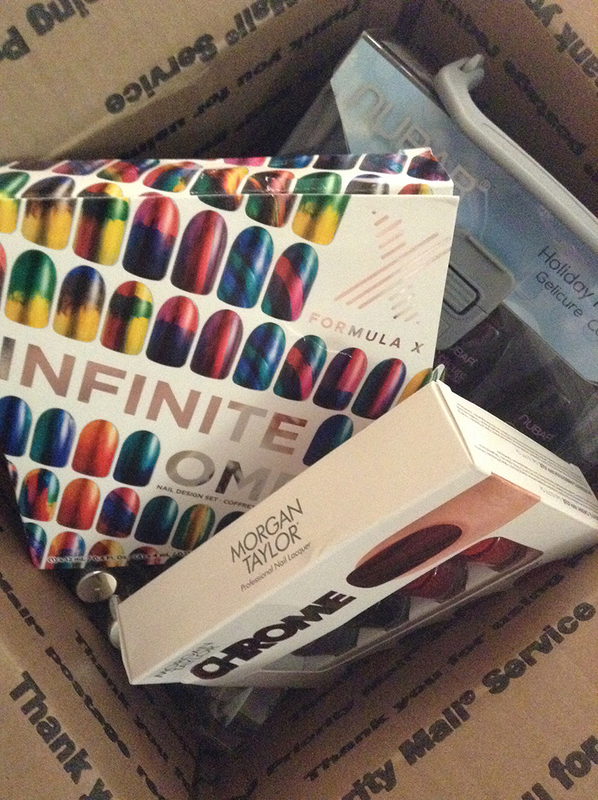 I won a great blog giveaway from Vampy Varnish. She’s one of my favorite nail polish/beauty bloggers, and her giveaways are always SO GOOD. Not to get all braggy, but I’ve got to talk about these products! N ubar Gelicure Holiday Polka Dots Collection (value $56?) – This is eight bottles of polish each with a pretty glitter finish, mostly in sweet pastels. The dots are pieces of glitter. I don’t have a UV or LED gel polish lamp, so I haven’t gotten to test this polish out. I’ll be seeking out tips on how to get the best finish with this. Nubar Royal Charlotte Pink and Royal George Blue (value $10?) – These are more of a jelly formula with glitter. Such an adorable idea for a pair of shades! Morgan Taylor Make It Last Long-Wearing Top Coat (value $8.50) – This promises to make polish last longer. 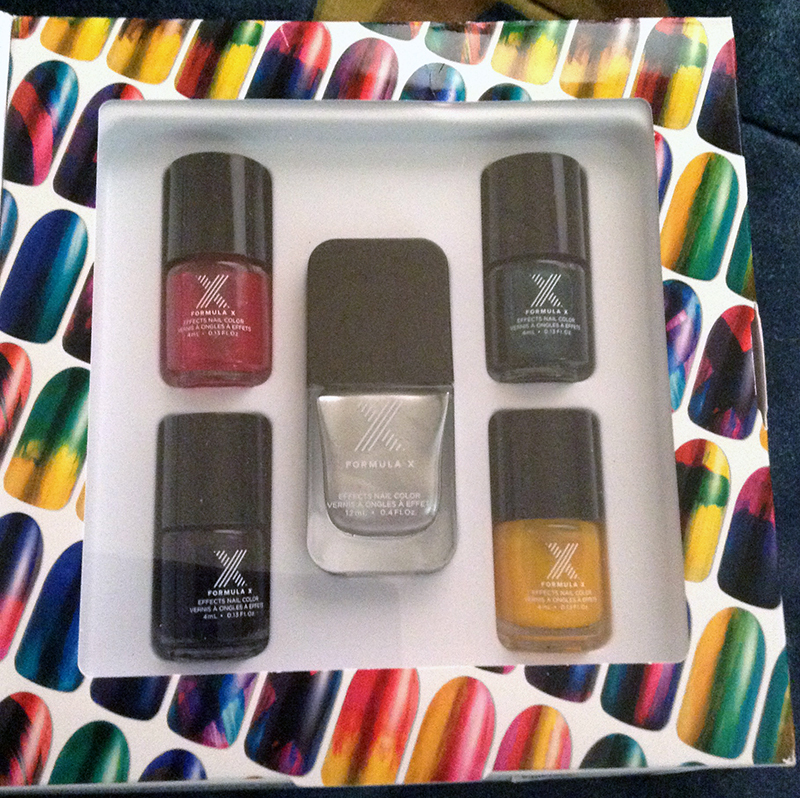 Formula X by Sephora Infinite Ombre Nail Design Set (value $29.95) – So this set includes a silver base polish and four sheer shades to layer over it, plus tips on how to achieve various looks from the packaging. I’m thrilled to rip into this! Morgan Taylor Chrome Mini-Kit (value $15) – Same concept, though this silver appears a bit more shiny.